Good Times 4 K's 4 Cigarillos. 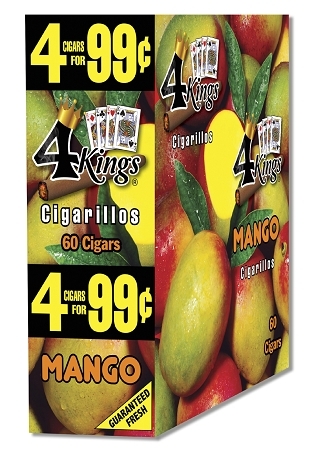 Each box comes with 15 resealable pouches, 4 Cigars in each. A total of 60 Cigarillos. 4KS is a Good Times Cigar product. Made with the same quality as all Good Times cigars.